Occasionally, I am able to escape an airport while en route to or from wherever I’ve been. After years of flying through Istanbul, my friend David Budke and I were able to make a quick exit from the airport in order to spend a few hours in Istanbul before our connecting flight. When you only have a few hours in Istanbul it is a no-brainer about what to see — the iconic Hagia Sophia. The Hagia Sophia, or the Church of Holy Wisdom, is unquestionably one of the most magnificent religious structures in the world, with an equally fascinating history. The first church at the location of the current Hagia Sophia was built on the remains of the Artemis Temple and was called the Megale Ekklesia (The Great Church). It was indeed the mega-church of its day. The Megale Ekklesia burned down in the riots following the exile of John Chrysostome, the Patriarch of Constantinople. A second church was built on the site early in the fifth century. This church also burned down during the week-long Nika riot in January 532. This riot started at a sporting event at the Hippodrome and is the most violent riot in the history of Constantinople. The fate of the Hagia Sophia took an unexpected turn in 1453 after the Ottoman conquest of Constantinople (modern-day Istanbul). This beautiful Christian church was turned into a mosque at the orders of Sultan Mehmed II. Mehmed ordered the construction of arch buttresses to reinforce the walls, added four minarets, and had all of the mosaic depictions of biblical characters and scenes covered up — all except the mosaics of the Virgin Mary and the seraphim. In 1934, under the order of Mustafa Kemal Atatürk, the founder of the Turkish Republic, the Hagia Sophia was converted into a museum. In the years that followed, archaeologists and scholars carefully removed the plaster covering many of the mosaics. Today, visitors to the Hagia Sophia can see both the Christian and Islamic elements of this magnificent structure. The story of the Hagia Sophia continues to unfold as the government is under pressure to reopen the iconic site as a mosque. Turkey’s Culture and Tourism minister has said that it is his personal dream, goal, and ambition to see that happen. And perhaps it will. Time will tell. Regardless of what happens next to the Hagia Sophia, it will always stand as a monument to the fact that God has set eternity in the heart of man and that people everywhere are longing to discover what will fill that God-shaped vacuum within. As for me, I personally found the answer in Jesus Christ long before I visited the Hagia Sophia. Unlike the great iconic structure in Turkey that has seen so many changes, Jesus Christ is the same yesterday and today and forever. I never have to worry that He will change. Truly one of the highlights of my trips to Istanbul. 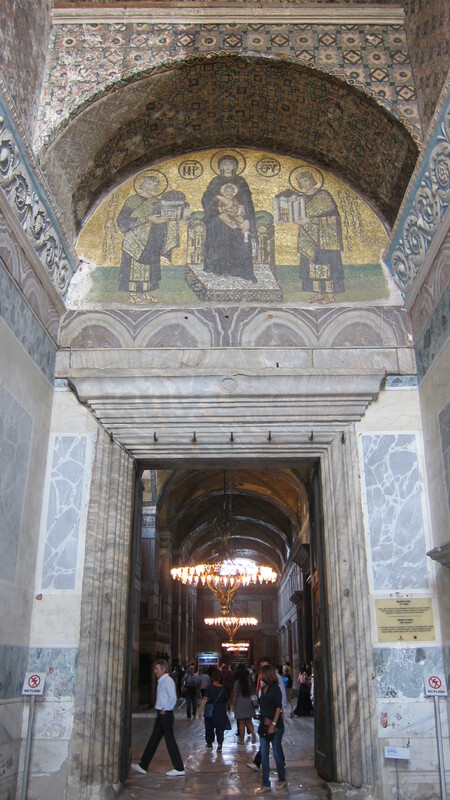 A visit to the Hagia Sophia is very difficult to describe. Glad you were able to take it in. I hope to return someday and visit sites outside the city. Safe travels. Good to hear from you, Dave. Very glad we took the time to do this quick tour. Memorable indeed. Totally agree, Gil. Not surprised that this building is studied by architecture students. It is indeed a marvel. 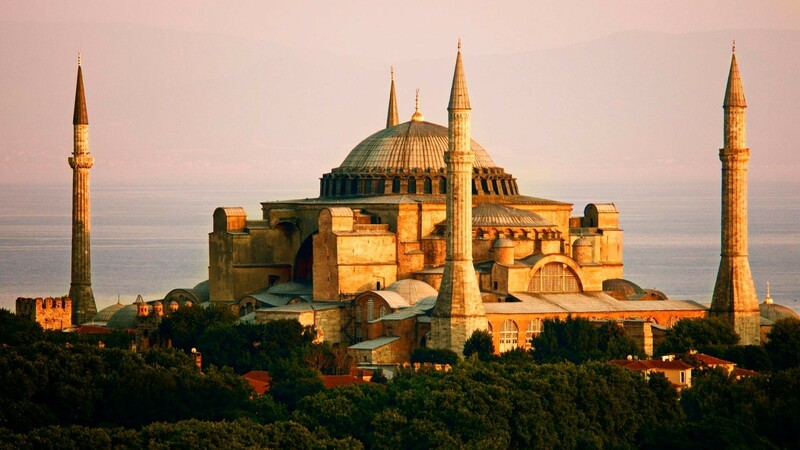 The Hagia Sophia was on my bucket list and I finally got to visit in 2004….It is an architectural wonder. I loved that the frescoes were covered over as it preserved them so well. BTW, on that same trip, I visited the places where Paul went and preached, the 7 churches….The ruins were NOT restored so made it more real for our group…I highly recommend visiting where the 7 churches are located, which all are in Turkey. Fantastic, Lane. I would love to visit the churches of Asia Minor one day. Thanks for sharing.